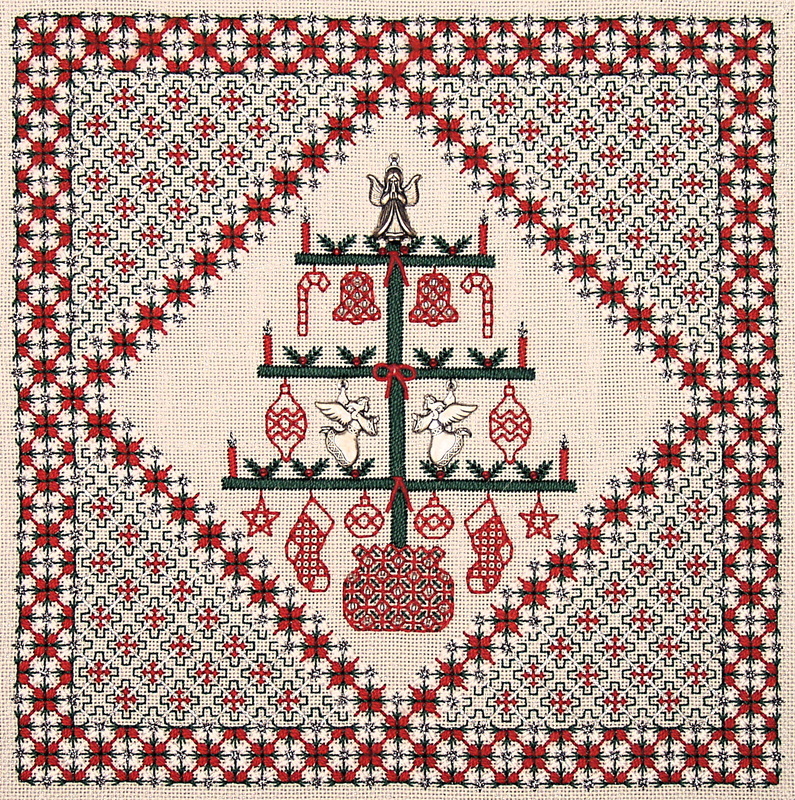 This is a charming holiday design that features an ornament tree with three silver angel charms and a variety of blackwork trimmings. The central figure is surrounded by an elegant double border that uses the same pattern to form both a square and diamond frame around the espalier tree. The open composite border uses four different threads, and the area between the two border outlines is embellished with a fancy couching pattern that is a diamond lattice with blackwork accents.